Action movie “The Bourne Legacy” and adult comedy “The Campaign” knocked three-time box office champ Batman from the top of U.S. and Canadian box office charts over the weekend. 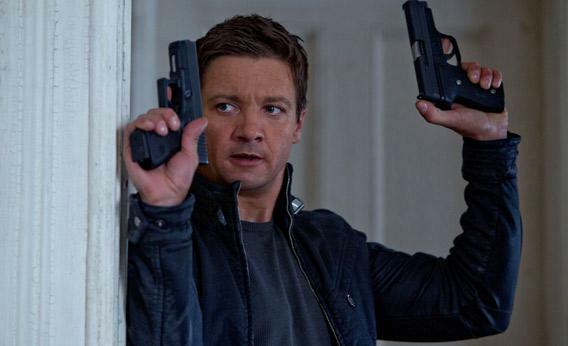 “Bourne Legacy” scored an estimated $40.3 million in ticket sales from Friday through Sunday, distributor Universal Pictures said. The film stars Jeremy Renner in the sequel to the three earlier “Bourne” spy films that featured Matt Damon. “The Campaign,” starring Will Ferrell and Zack Galifianakis, about two candidates running against each other for a seat in Congress, won $27.4 million at domestic theaters. The two films pushed Batman film “The Dark Knight Rises” to third place. The movie, starring Christian Bale, brought in $19.5 million during its fourth weekend in theaters. Comcast Corp’s Universal Pictures released “Bourne Legacy.” “The Dark Knight Rises” and “The Campaign” were distributed by Warner Bros., a unit of Time Warner Inc..